They’re coming back! 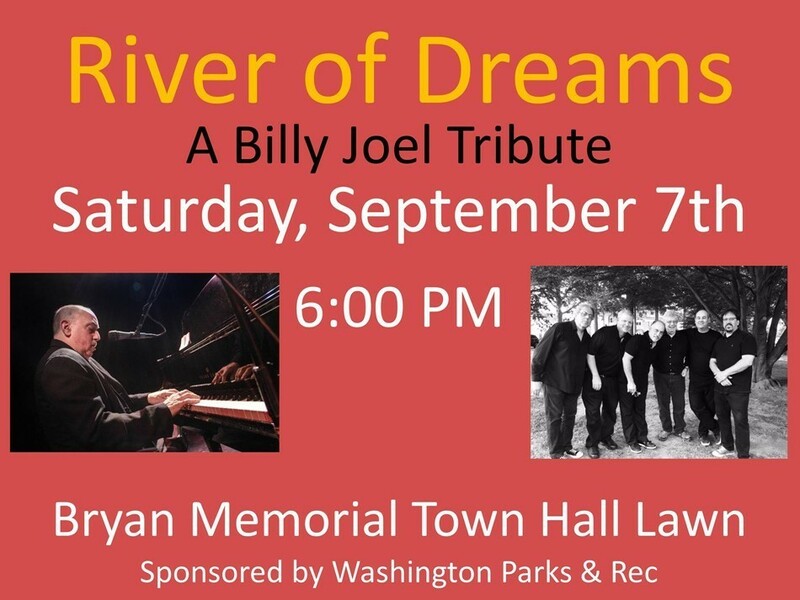 After a great show last year, River of Dreams: A Tribute to Billy Joel – NY will be returning to Washington Depot on Saturday, September 7th for another show in front of Bryan Memorial Town Hall. Mark your calendars now. Tell your friends, tell your family, tell everyone! And remember to bring a blanket or chair to enjoy the show.